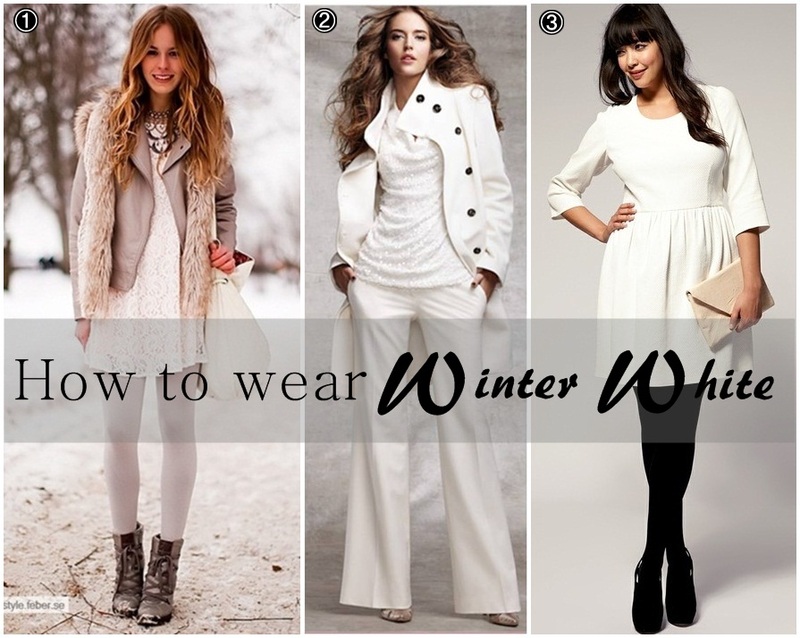 Babblings of a Mommy: Winter White Do's. It's true you can wear white after summer, but stay clear of summer fabrics like cotton and linen. Opt for more appropriate fabrics like cashmere, wool, knits, and tweed. Take your outfit to the next level of sophistication by layering on different shades of white. You can thank me later. A simple white dress or top might seem bland at first, but pair it with black tights or a brown belt and other accessories and you instantly turn it up a notch. Are you a fan of Winter Whites? My fave is a winter white chunky cable knit sweater! I usually don't wear white in the fall/ winter but these looks give me a reason to do so. Cute!